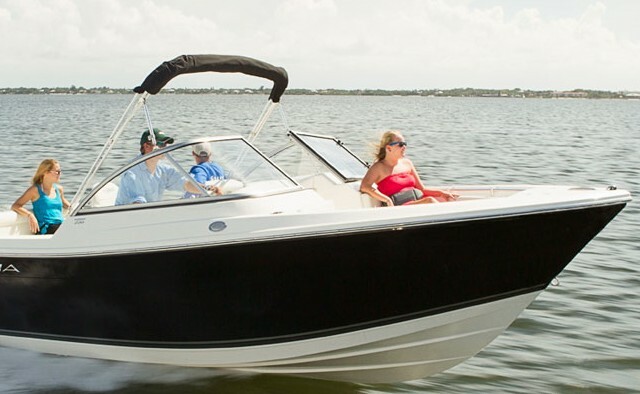 This dual console has a cabin that stretches across the full beam to provide twice as much cabin space as you'd expect. 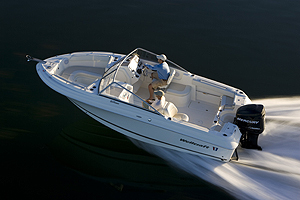 Is the Edgewater 280CX Crossover a family boat or a fishing boat? Yes to both. It’s rigged for aquatic hunting for sure, with all the necessities like a livewell, rocket launchers, rod holders, and fishboxes. But it also has everything you’ll need for family fun—and then some. 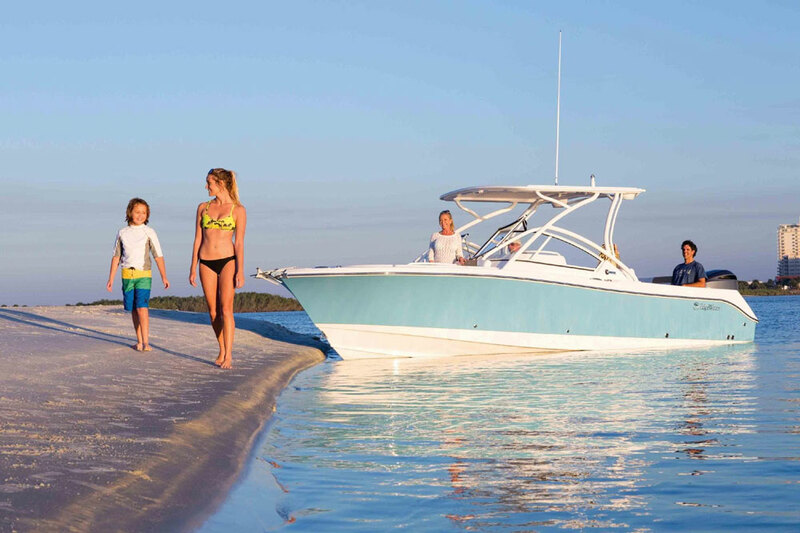 Transitioning from fishing time to family time is easy on the Edgewater 280CX. One big cross-over perk is the seating. 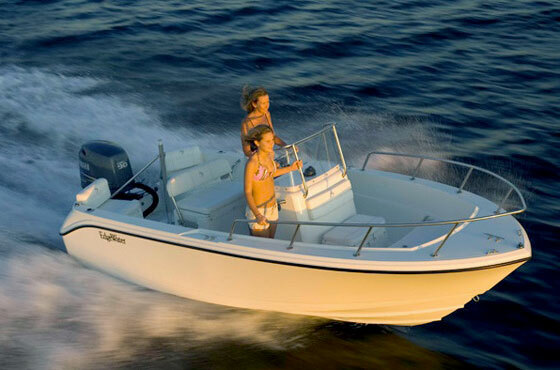 We anglers like a wide-open cockpit, but when guests or kids are aboard, they need somewhere to sit. Kudos to Edgewater for designing fold-out seating all along the transom and gunwale. A bigger surprise comes when you check out the console cabin. 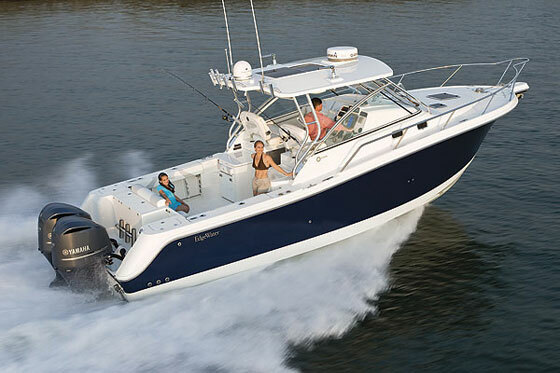 We've seen some monster cabins on DC’s lately, like the one in the Grady-White 335. 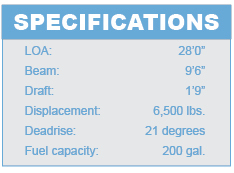 But that’s one of the largest DC boats in existence. If you’re looking at 20-somethings, those big cabins simply aren't an option. At least, they weren't before the 280. 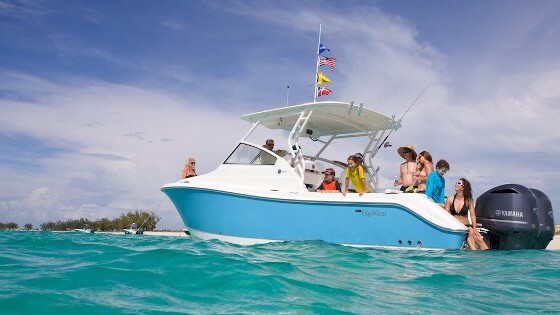 Edgewater actually designed this boat around the concept of a double-wide cabin, and gave it enough height and width to carve out accommodations that connect under the deck. Enter on the port side, and you’ll see the galley and head. Duck under the pass-through, and there’s a double berth (one half slides out of the way for easy entry and more legroom) plus a flat-screen TV. And yes, this cabin is air-conditioned. Net result? 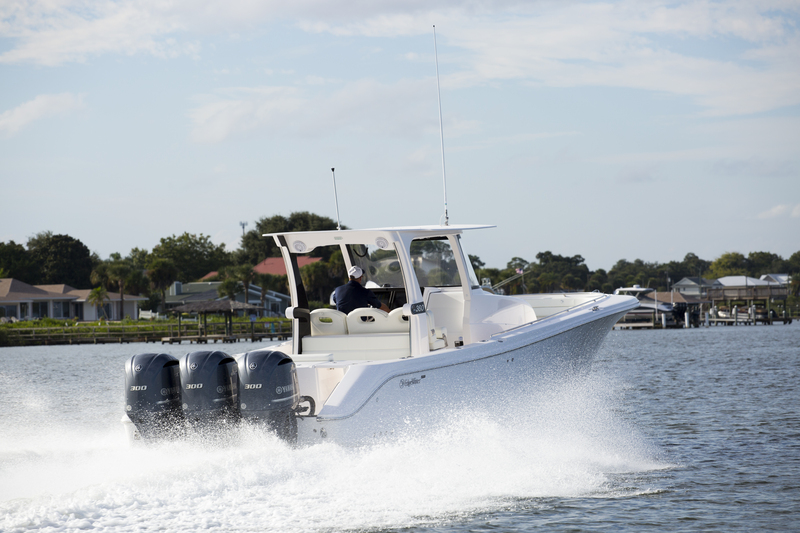 The 280CX has the largest and possibly the most usable cabin you can find on any 28 foot dual console fishboat in existence. Yes, I know—it’s hard to envision what this cabin looks like, from these written words. 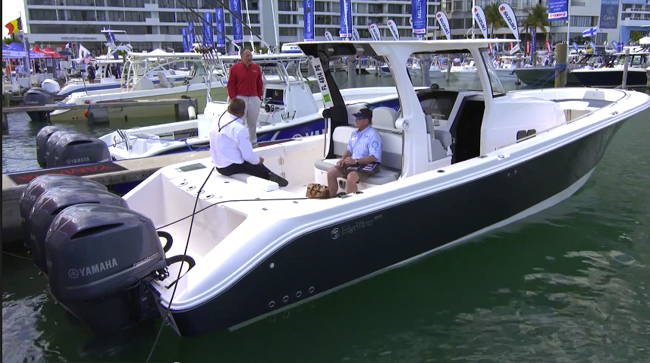 That’s one reason why we did a Short Take video of the Edgewater 280CX, when Edgewater introduced it at the Ft. Lauderdale International Boat Show. Check it out, for a first-hand look at what this cabin and this dual-console cross-over have to offer. 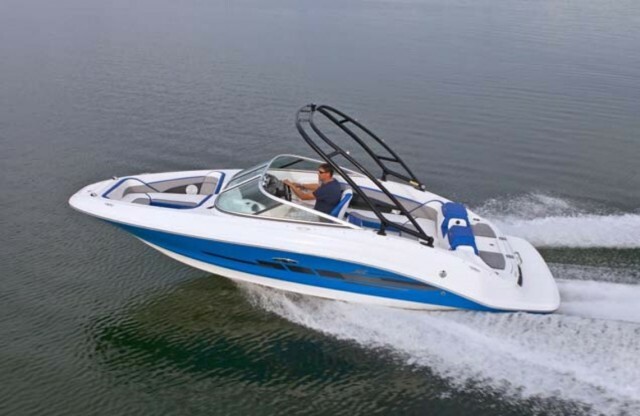 For more information, visit Edgewater Powerboats.